Owning fragrance is a bit like owning a smartphone: you have to understand how it operates to get the most out of it. You also need to know how to look after your investment. With this in mind, we offer some tips on how to maximise the impact, longevity and overall effect of your signature scent, along with a few on how to ensure it smells just as good years after opening. “Wearing a fragrance is a bit like building a relationship with someone,” says perfumer Azzi Glasser, who created Topman’s acclaimed No.16 and No. 27 fragrances and whose private clients include some of the world’s best known celebrities. The message? Always give a new fragrance the benefit of the doubt – even if at first you don’t like it. Fragrance is just like food: some things go together naturally, others clash like the Titans. Body sprays and antiperspirants are one of the main offenders when it comes to clashing, so ensure your fragrance doesn’t have to fight for precedence with them by opting for fragrance-free or minimally scented products like Clinique’s Roll On Anti-Perspirant Deodorant, Sanex’s Dermo Sensitive Roll-On Antiperspirant or Lab Series’ Anti-Perspirant Deodorant Stick. Generally speaking, the oilier and better hydrated your skin the longer a fragrance will last on it. So if you to want to increase the longevity of your scent, use a fragrance-free moisturiser a few minutes before applying. If you’re skin tends to be on the dry side be prepared to reapply your fragrance a little more often. The wrists and behind the ears may be the traditional spots to apply fragrance, but according to Dove the area behind the ears produces a lot of sebum, which can alter the way a fragrance smells. The burn rate of the fragrance will also be accelerated in these places because they’re above pulse points, so your scent may not last as long as you would like. Better places to spray, in my experience, are the chest and biceps as your scent will be trapped against the skin in these places but its presence will still be detectable as you move. For maximum impact, Dove suggests applying a little in the dip of the collarbone too. Undecided whether to opt for a splash or a spray? Go for the latter. Not only do spray mechanisms give you greater control in terms of fragrance application, they prevent the fragrance becoming exposed to the air and contaminated by bacteria from your hands. There’s no chance of costly spillages either. Never hold the bottle too close to your skin when applying fragrance. If you do you’ll just end up with it concentrated in one tiny ‘puddle’. Instead, hold the nozzle around six or seven inches away from you and then spray. That way the fragrance will hit a larger area of skin and coverage will be more even. According to Debrett’s A-Z of Modern Manners – the Holy Bible of etiquette – a fragrance should never be overpowering. “People don’t want to be able to smell you before they see you,” it politely points out, and with good reason – no-one should be able to smell you beyond arm’s length (a distance known as your personal ‘scent circle’). To ensure you don’t overdo it, apply no more than three sprays. If you accidentally apply too much dilute the fragrance by patting your skin with a warm wet towel. Layering – combining products from a fragrance’s body range to create a more powerful, longer lasting and all-over scent – is a great way to maximise the impact of your favourite eau de toilette. Think of these body products as your eau de toilette’s support team. 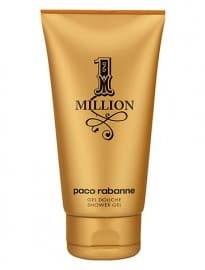 Lots of fragrances (Aramis Classic, Acqua di Parma Colonia, Paco Rabanne 1 Million and Tom Ford Oud Wood amongst them) now have ancillary shower products, deodorants and aftershave balms, so if they’re available use them. There’s no risk of products clashing if you do either. 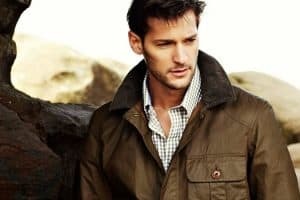 Opinion differs on how long a fragrance lasts once opened – from eighteen months to five years to, well, pretty much forever. Much depends on how you look after your asset. 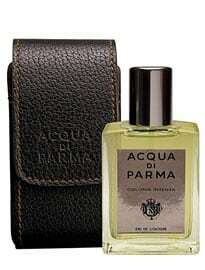 Fragrances are much like fine wines or priceless paintings: they need to be treated with respect and stored correctly. To ensure your fragrances stay in tip top condition, keep them away from extreme temperature fluctuations and strong sunlight. The best way to protect them is to keep them in their original boxes and somewhere cool. 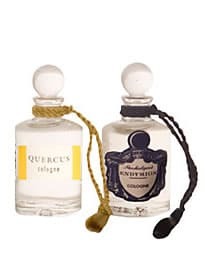 There’s a reason fragrances are so good at transporting us back to a particular time, place or feeling: our sense of smell is handled by the same ancient part of the brain that deals with emotions and memory. So if you associate a fragrance with a particularly good memory, utilise it to bring back those emotions when you need to and make it your ‘lucky’ fragrance. If you want to maximise the refreshing qualities of fresh, citrusy summer scents like 4711, Paul Smith Sunshine and Jean Paul Gaultier’s Le Male Summer fragrance, try keeping them in the fridge. It turns them into the perfect tonic when temperatures soar. Here’s a crafty trick if you’re wearing fragrance to impress women: manoeuvre yourself so you’re on her right side when talking to her. Why? Well, a study by the University of California discovered that, due to the way the brain is hard-wired, women tend to appreciate smells sniffed through their right nostril more than the left one. According to Roja Dove around 80 per cent of an eau de toilette’s fragrance will have the left the skin after about four hours, so to keep yours topped up you need to reapply. This is especially true for colognes which are super-fresh but have even less staying power on the skin. The solution is to look out for travel sized (usually 30ml) versions of your favourite fragrance or to decant your favourite into a portable atomizer like the Travalo, which is pocket sized and easy to fill. Carry one with you and you’ll always smell your absolute best – wherever you are, whatever the time of day and whoever you’re with. Do you have a favourite way of wearing fragrance or any tips about getting the most out of a signature scent?